Hero Passion Pro 110 prices start at Rs. 54,500 (Ex-Showroom). Hero Passion Pro 110 is available in 2 variants . Share your experiences with Passion Pro 110? Q. I am committing 80 kms a daily basis and want to buy a bike which gives a atleast 70kmpl mileage and lower on maintanence. Q. 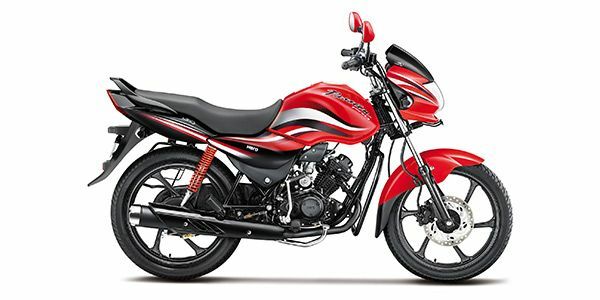 Which bike is overall best Passion Pro, Passion Pro 110cc or, Passion Xpro? Q. Which is better, Passion Pro 110 or TVS Radeon in terms of mileage in city? The company certified mileage of Hero Passion Pro 110 is 84 kmpl compared to the TVS Radeon which is 69.3 kmpl. Hence the Hero passion pro 110 provides more mileage than the TVS Radeon. Q. Which is best between Yamaha Saluto RX, Passion Pro and HF Deluxe. I am commuting 80kms a daily basis. which I choose between three of them as per economical and riding pleasure? 2year 6 month very somoothness bike.And very all time comfortable bike. Confused about Hero Moto Corp Passion Pro 110?